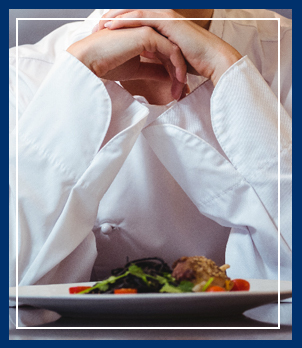 The Culinary Arts program provides students with theory and practical work experience relative to planning, selecting, preparing, and serving quality foods. This program also covers safety practices, the use and care of commercial equipment, and sanitation precautions. The GJCTC Culinary Arts kitchen and the GJCTC Spartan Inn Restaurant offer ideal settings to study and practice all careers related to institutional, commercial, and self-owned food establishments. Career specialties include chef, specialty cook, meat cutter, caterer, cake baker and decorator, and food salesperson. Serve-Safe certification is available for students who qualify. Membership in the American Culinary Federation is also available. Upon successful completion of the program, graduates earn a diploma.